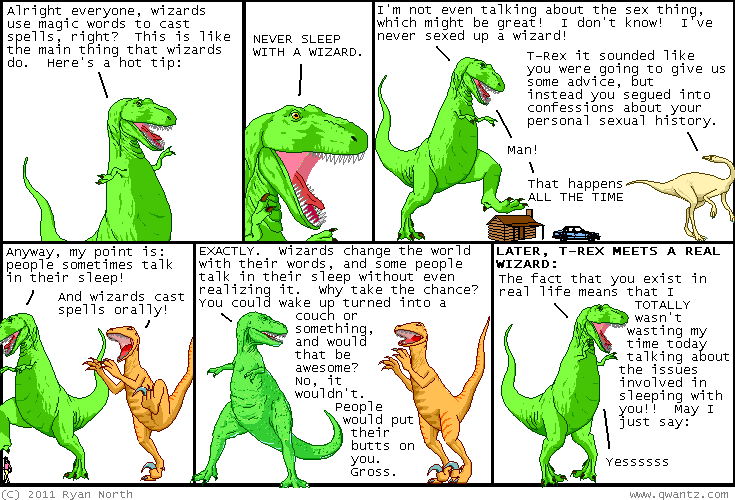 Dinosaur Comics - June 24th, 2011 - awesome fun times! June 24th, 2011: I want to introduce you to my new favourite, Feel Afraid. One year ago today: okay t-rex's writing is bad but i am sincerely happy with the idea of the year 2000 being "the future we remember". GOOD WORK, TEAM RYAN! TEAM RYAN IS BEHIND YOU 100%!